Just last year, West called Barack Obama, the standard-bearer of the Democratic party and its most effective and liberal president in modern times, "niggerized." That and so much more should disqualify him from shaping Democratic politics. At the very least we can all be thankful that Bernie Sanders responded to the Democratic party&apos;s new and very generous offer by only going slightly off the rails. 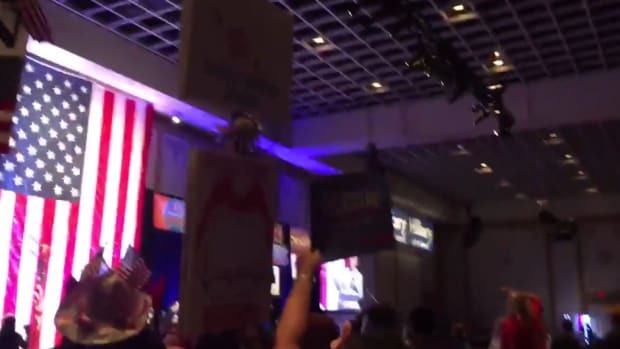 For those who haven&apos;t been following along, the Democratic National Committee has chosen to do something largely unprecedented as a means of extending an olive branch to Sanders, a man who continues to throw the notion of unity back in their faces by promising to go scorched earth on the party and its assured nominee, Hillary Clinton, all the way to the July convention in Philly. The DNC is offering Sanders a chance to shape the future of the party by allowing him -- remember, someone who isn&apos;t even going to come close to winning -- a full five appointments to the platform committee. Clinton will only get one more appointment than that while the rest of the names will be chosen by the head of the DNC. The people who make up the committee generally represent not only Democratic values but the specific values of the candidates allowed appointments, meaning that the DNC&apos;s move here is to show Sanders and his rabid supporters that their concerns matter to the Democratic party as a whole. 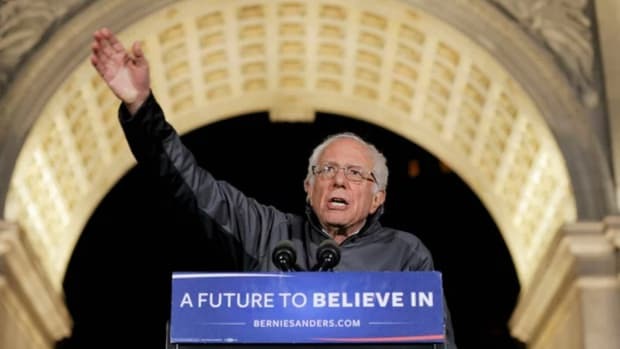 Sanders&apos;s appointments are all predictably far-left but most of them are still largely uncontroversial. They include Rep. Keith Ellison of Minnesota, one of two Muslim members of Congress and a vocal Sanders booster, respected environmentalist Bill McKibben, Native American advocate Deborah Parker, and James Zogby, president of the Arab-American Institute in Washington and a staunch supporter of Palestinian concerns. Zogby&apos;s ruffled more than a few feathers in his day, if only because of his group&apos;s defense of Hezbollah, but he&apos;s worked with the Obama administration previously. That little point, however, segues nicely into the last person on Sanders&apos;s appointment list, someone who has spent the past several years explicitly tearing down the Obama administration in front of any camera he could manage to get turned in his direction: Cornel West. 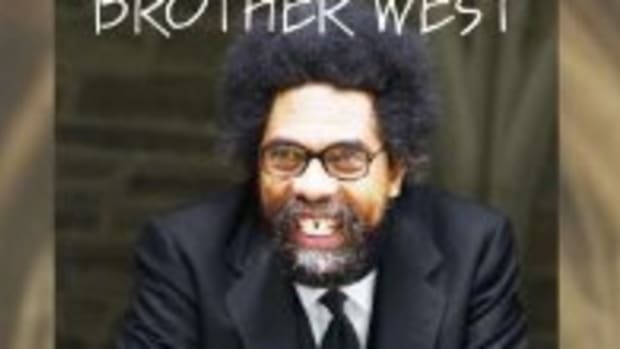 Yes, Dr. Cornel West -- professional intellectual and activist, vociferously cranky critic of Barack Obama and, surprise, also a vocal booster for Bernie Sanders -- is Sanders&apos;s idea of who should have an outsized say in the future of the Democratic party. 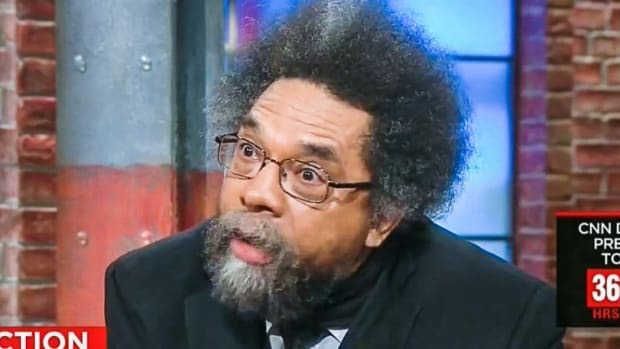 Here&apos;s the thing, though: He shouldn&apos;t. He really shouldn&apos;t. Cornel West forfeited the privilege of being taken seriously both incrementally and in broadsides in the years since Barack Obama made the decision to run for president, and often for reasons that do little more than serve West&apos;s own slighted ego. The story of West&apos;s turn against "Brother Obama," the first black person elected President of the United States, goes all the way back to 2007, when he took great offense to Obama&apos;s refusal to allow him to grandstand on the announcement that Obama would be running for president. West wanted Obama to make the announcement at Tavis Smiley&apos;s State of the Black Union meeting in Virginia, but, not surprisingly, Obama made the announcement in Illinois. West immediately decried this as proof that Obama was holding black people "at arm&apos;s length" to appeal to white voters, so right off the bat West staked out the "Obama is a disappointment" position (even though it was far more likely that Obama&apos;s choice not to pay the necessary tribute to West at the Smiley event is what incensed him so). 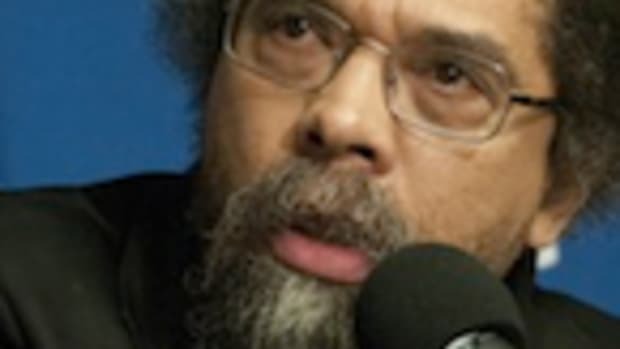 From there, after a brief respite in which he seemed to embrace the candidate wholeheartedly, Cornel West began a kind of crusade against Obama from the left fringe. Now setting aside the fact that West has spent eight years comically raging against not only the standard-bearer for the Democratic party but one of the most effective and, yes, liberal Democratic presidents in the modern age of this country -- a fact which should make his appointment to the Democratic Platform Committee highly questionable -- there&apos;s the way he&apos;s raged that should disqualify him outright. It was just last year that West&apos;s criticism of Obama crescendoed with a comment that was both shocking and unforgivable. He had already accused the president of, as fellow black scholar Michael Eric Dyson referred to it, "political minstrelsy," as well calling him a "counterfeit" progressive and a "Rockefeller Republican in blackface," but in June of 2015 he went for broke. During a live appearance on CNN, West claimed Obama had been "niggerized," with the exact quote being, "The first black president has become the first niggerized black president." 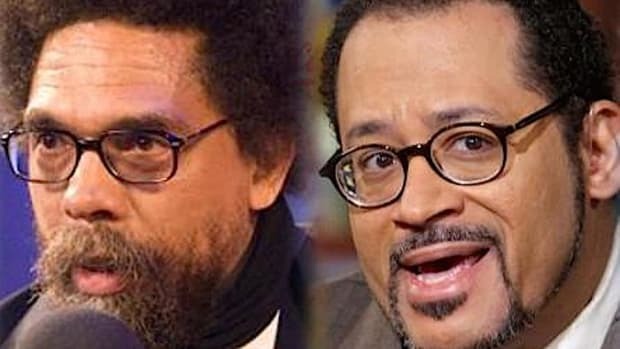 When pressed by an obviously aghast Poppy Harlow, West elaborated: "A niggerized black person is a black person who is afraid and scared and intimidated when it comes to putting a spotlight on white supremacy and fighting against white supremacy." So regardless of Cornel West&apos;s status as a black man and an intellectual alleging to speak in academic terms, what you had was someone referring to the first black President of the United States using one of the most reprehensible racial slurs in the English language. It doesn&apos;t matter one bit what his twisted rationale was -- it was outrageous and disgraceful. It showed that West&apos;s personal obsession with Barack Obama had finally truly overwhelmed any good judgment he happened to have left. Certainly, there should be appointees to the Democratic Platform Committee who speak strongly about issues pertaining to race in America. That&apos;s absolutely essential given the current climate. Hillary Clinton has named as one of her choices Ohio lawmaker and that state&apos;s black caucus president Alicia Reece; Rep. Elijah Cummings has also been named and there are plenty of powerful black activists and scholars to choose from who could address the needs of the black community. 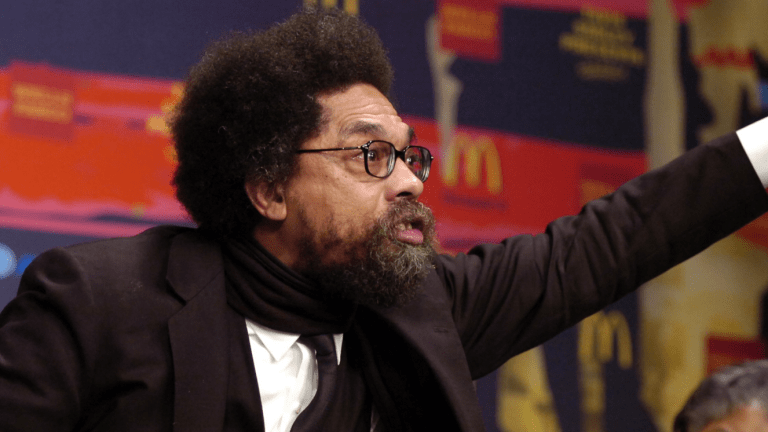 Cornel West was indeed known throughout most of his career for being an electrifying intellectual, but he remains relevant in our media culture largely because he&apos;s a self-aggrandizing caricature and firebrand who&apos;s good on television.  Those qualities, however -- which amount to an absolutist viewpoint on far-left concerns, an unwillingness to consider dissenting opinions and the realities of governance, and a propensity for mindlessly inflammatory and carelessly offensive rhetoric -- don&apos;t make for someone who deserves to help set the platform for the Democratic party. Granted, this is a concession to Sanders -- whether he deserves one at all is a subject for a later date -- but it still gives West authority he simply shouldn&apos;t have. 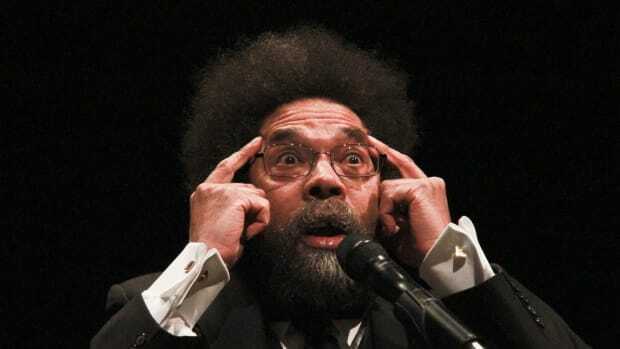 There was a time when Cornel West was an unmatched intellect and a vital advocate for black issues. But he&apos;s willingly relegated himself to the level of a left-wing Ann Coulter, an admittedly much smarter but equally self-serving bomb-thrower. He&apos;s someone for whom the future of the Democratic party, the electorate it serves, and the good it does has never mattered if his own personal outrages weren&apos;t being indulged by it to his satisfaction. And that&apos;s not the kind of person you want having even a small part in determining the direction the party should move in.